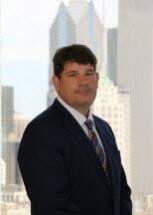 Mr. Whitcomb brings over 25 years of experience to Monahan Law Group, LLC, advocating for individuals with disabilities, children, and older adults. He focuses his practice in guardianship and probate, mental health law, risk management, elder law, civil rights, and child welfare. Mr. Whitcomb is an experienced litigator, appearing before both the circuit and appellate courts in contested matters. He has been instrumental in improving law related to guardianship and the welfare of individuals with disabilities. For example, his involvement in the groundbreaking case, In re K.E.J., resulted in a new statutory provision that instructs guardians as to how to make reproductive decisions for their wards. Mr. Whitcomb is regularly asked to speak with organizations throughout Illinois on topics such as guardianship, advance directives, the Americans with Disabilities Act, the Illinois Mental Health and Developmental Disabilities Code, ethical services and the nature of consent for people with disabilities, and child abuse and neglect litigation. Mr. Whitcomb’s commitment to individuals with disabilities has been recognized by several leading disability rights organizations. In 2012, he received Access Living’s Lead On! Award, which is awarded to leaders who have helped improve the understanding of people with disabilities and remove barriers that have excluded them from everyday life. Mr. Whitcomb has also twice received the Equal Justice Award from the Legal Assistance Foundation. Prior to joining Monahan Law Group, LLC, Mr. Whitcomb was a senior attorney at Equip for Equality, Illinois’ protection and advocacy agency for people with disabilities, where he specialized in litigation involving contested matters of confidentiality, guardianship, parenting rights, residential services, and government accommodations for seniors and individuals with disabilities.